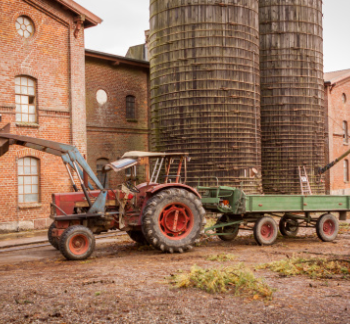 An appeals court recently upheld a decision that two contract agricultural employees was entitled to $2.5 million in civil damages from the sugarcane farm where they were working. The farm’s insurers argued that the farm had immunity from the lawsuit, saying the contract workers were its statutory employees so workers’ compensation should be their only route of relief. Alejandro Jorge-Chavelas and Alfredo Moreno-Abarca, Mexican citizens in the United States on work visas, worked for Louisiana-based Harang Sugars as sugarcane planters and were severely injured when a Harang employee drove into the sugarcane cart they were sitting on. While they worked at the Harang farm, the two workers were employed by Lowry Farms Inc., a company that plants sugarcane for other farmers. Harang had a contract with Lowry to plant sugarcane at its farm. For Harang’s claim of immunity to stand, it had to prove Jorge-Chavelas and Moreno-Abarca were its statutory employees. According to Louisiana law, an independent contractor who is engaged primarily in manual labor can file a claim for workers’ compensation against his principal in this case, Harang which would render the principal immune from a negligence suit. Harang’s insurers claimed this extended not only to independent contractors, but also to the employees of those contractors. If true, that would make Harang immune from the suit since Jorge-Chavelas and Moreno-Abarca were employees of an independent contractor hired by Harang. However, the court found that the actual text of the statute regarding independent contractors says otherwise. The statute grants coverage to contractors who spend a “substantial part” of their time providing “manual labor.” The term “independent contractor” means “one that contracts with the principal,” which in this case is Harang. But Jorge-Chavelas and Moreno Abarca never entered into any sort of agreement with Harang. Their contract was with Lowry. Because the sugarcane planting season is both short and labor intensive, Lowry hires short-term workers to do the planting, recruiting cane planters from Mexico as it did with Jorge-Chavelas and Moreno-Abarca gets them work visas, pays them, and provides them with housing, transportation and workers ’ compensation insurance. The contract requires contract employees work all hours directed by Lowry management personnel. While Lowry planters worked side by side with Harang employees, Harang had no role in selecting, paying or otherwise managing the contract planters. If Harang had any complaints about a worker, it had to go through Lowry to take care of the problem. And it was Lowry’s workers’ compensation insurer that covered Jorge-Chavelas’s and Moreno-Abarca’s medical expenses. The court found the two sugarcane planters were not Harang employees and upheld the lower court’s decision granting Jorge-Chavelas $1,937,500 and Moreno-Abarca $562,500 in civil damages.